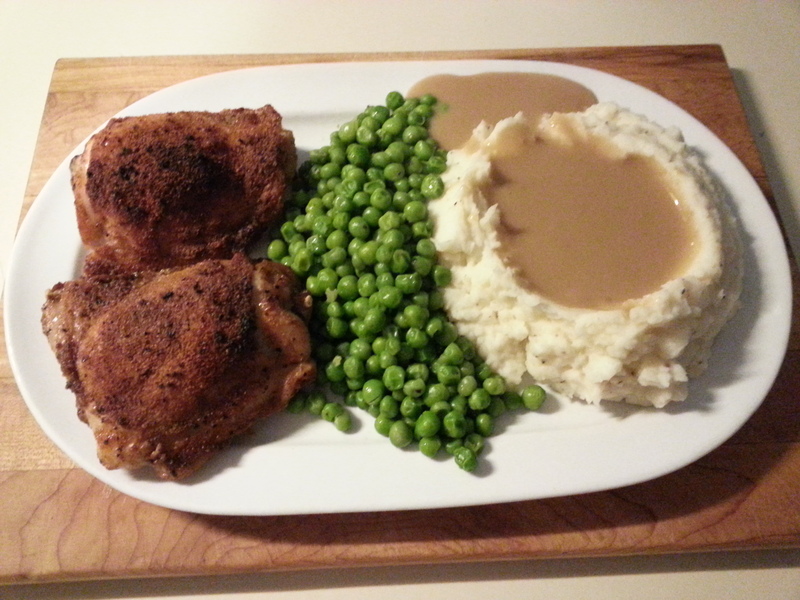 It’s funny how dinner comes about some nights. I look over at the drawers where I keep the onions and potatoes and I see 3 big potatoes starting to sprout, so I know I will use them in some way for dinner tonight. Some more poking around I find a half-open bag of frozen peas and I knew I was making roast chicken for dinner anyway. 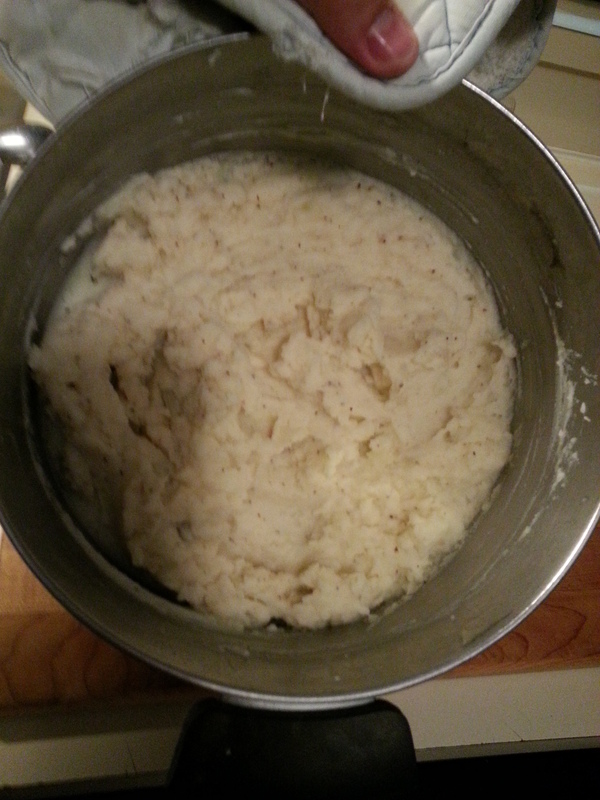 Started by peeling the potatoes and cutting them up into chunks because I’m going to make mashed potatoes. I put them in a pot, bring them to a boil, cook until they are fork soft. 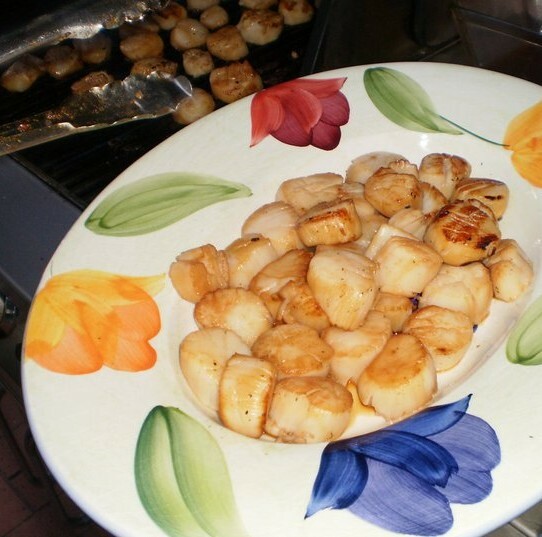 Then drain them and put them back in the pot and on the stove. On low heat, and add a stick of butter and some half & half to get them to the desired thickness then I add the salt & pepper to taste. This is how they end up. 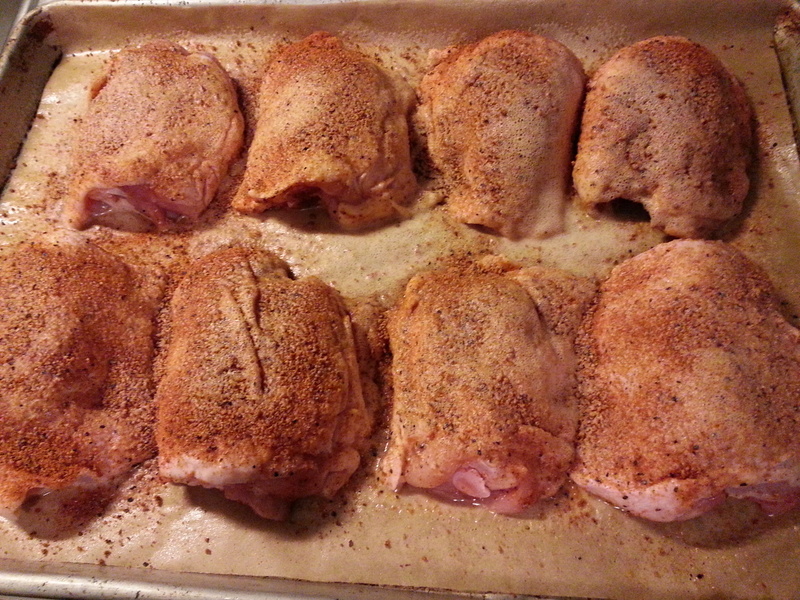 Today I have chicken thighs that I seasoned with salt & pepper, a little paprika, some granulated garlic and sprayed them with a little oil. Set the oven to 400 degrees and put them on the next to the top rack. Cook until they are a dark golden brown or until a thermometer reads at least 165 degrees nearest the bone. In a small pan I mixed together some chicken stock and some beef stock and let that reduce on the stove while the chicken cooked. 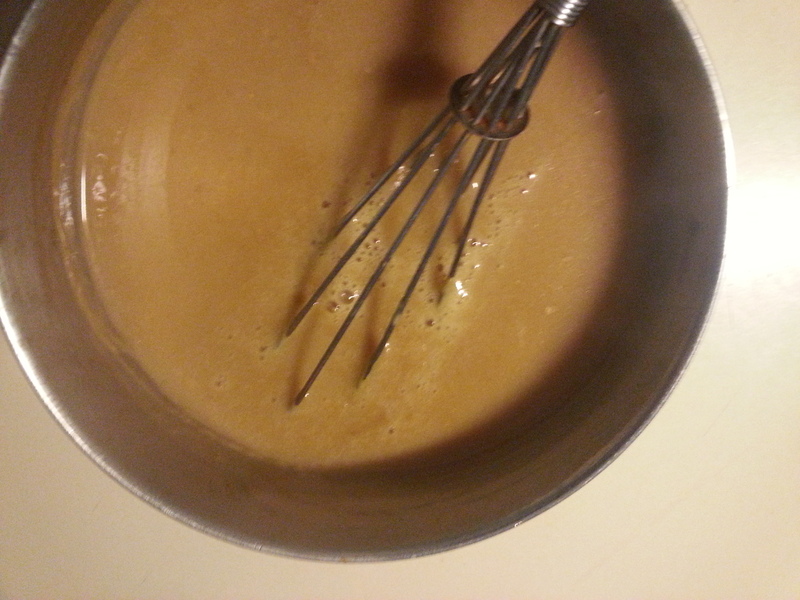 While the stock was boiling, I mixed together 2 tablespoons of flour with 1/3 cup of water and while whisking the stock, slowly poured in the slurry in until the stock thickened into a sauce. Check it for seasoning, it might need some pepper to offset the saltiness from reducing the stock. I took the frozen peas put them in a pot with some water to cover, brought them to a boil for a minute or two then drained most of the water. 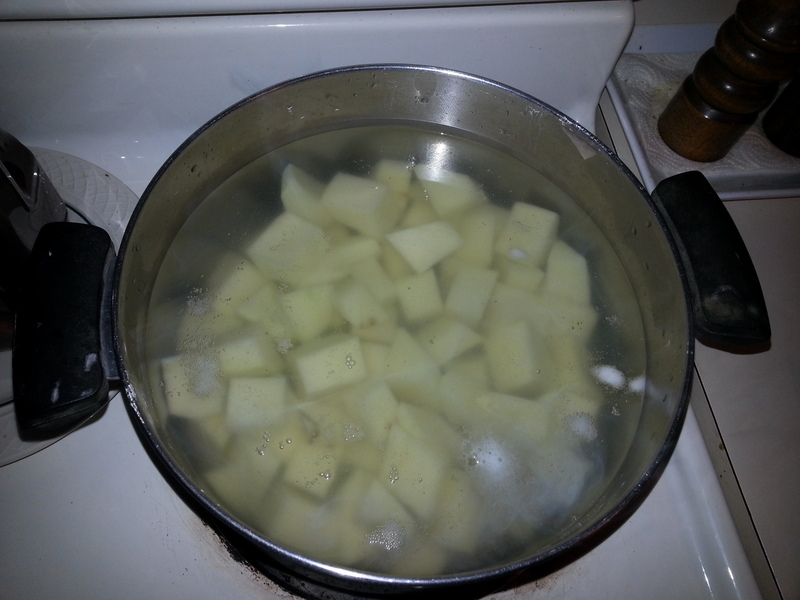 Add a good sized piece of butter and add some salt & pepper to your liking, turn the heat off under the pot, cover the pot and let it sit there until you are ready to serve dinner.